The support-to-owner-contract was the focus of a meeting held at the Château de Cadarache this week. If you want to meet Gaston Hanna for a face-to-face interview, you'd better go to bed early the night before. The only time slot he had to offer this week was on Wednesday, 7:30 in the morning—meaning he is a very busy man these days. Gaston normally works for the European Domestic Agency, Fusion for Energy (F4E), based in Barcelona, but the engineer is one of the dozen F4E staff who recently moved to Cadarache to oversee the preparations for the start of construction. And the preparations are in full swing. Currently there are five big contracts in the pipeline—for the anti-seismic bearings, the Tokamak excavation, the architect engineering contract for all 32 installations on the platform, for the health and safety protection coordinator, and finally the support-to-owner contract. This last contract, that will be awarded for a period of six years is to provide support to F4E during the tender process and to supervise the proper execution of the contracts, was the focus of a meeting held at the Château de Cadarache this week. 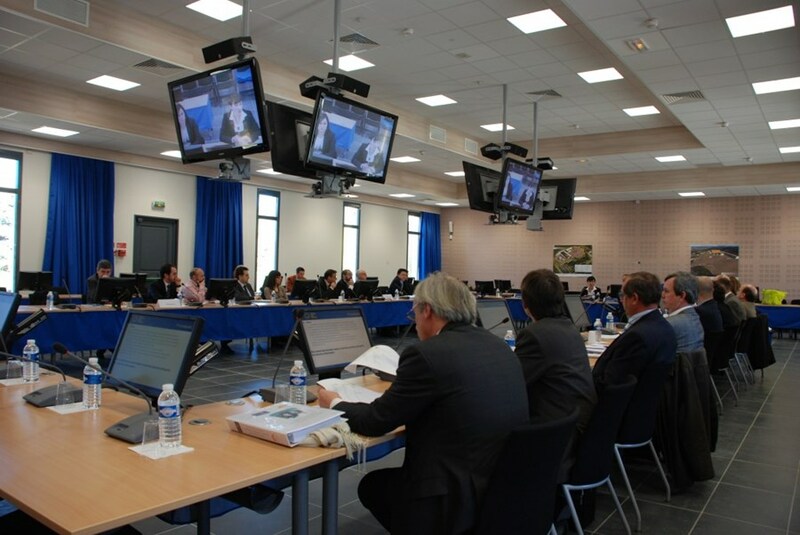 In this meeting, the representatives from the preselected candidates were introduced to the "negotiated procedure" of the ITER tendering process. The four candidates, all European consortia, now have time until the 22 March to submit their offers.